Live the Lake Life in Lake Arrowhead. 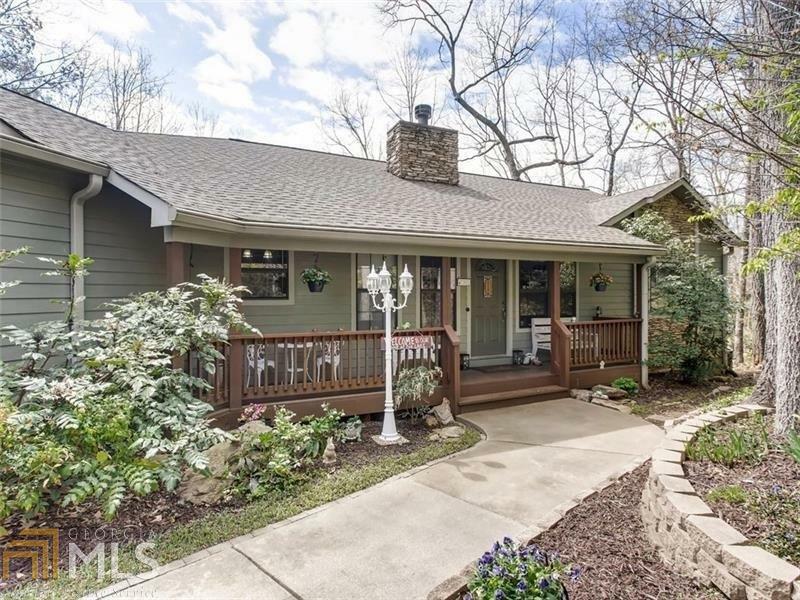 On Chickasaw Lake, this Ranch has a finished Terrace level with 2 bedrooms, bath and an office, recreation room. Flat Driveway, Master on the Main, hardwood floors, updated kitchen with granite. Enjoy the large outside deck space with Tiki hut, huge dock to enjoy the lake lifestyle. Great room with cathedral ceiling has large fireplace, and wooded beam ceiling gives this such a warm feeling. Kitchen is open into the main area living space, and a nice sized dining room to have breakfast while you look at the stunning lake views. Directions: Hwy 140 N, To Little Refuge Rd. Lt On Little Refuge To North Gate Entrance.cont To The 1st Rd Chickasaw, Go Rt.rt On Pinebrook Dr(If You Go Past The Lake You Have Gone To Far).take Pinebrook To Home, On The Lt Side Of The Rd.ask For Map From Security.